Of all the stops Welter made in his musical life, from his native New Jersey to his last in Portland, Ore., without a doubt the most important was here in Salt Lake City—both for him and the town. Still, only a clairvoyant could have foretold that development in the ’80s, when the guitarist playing the unusual Fender Jaguar first showed up as part of Charlie Musselwhite’s band the Dynatones in a gig at the Zephyr Club. After moving here not long after, Welter’s playing quickly became recognized as something special when he formed the Tempo Timers. 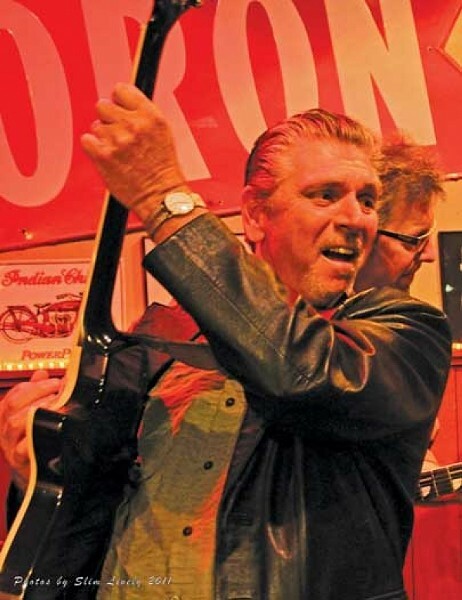 The band established itself as the city’s premier blues ensemble, especially when Welter (along with DJ Brian Kelm) convinced KRCL radio in 1987 to inaugurate the live broadcast, The Blue Devils Blues Revue, from the Dead Goat Saloon. The show brought national blues artists to town each month—backed by the Tempo Timers—and its popularity was the start of bringing Salt Lake City recognition as a blues town. Welter was also the catalyst for me to switch careers from being a music writer for The Salt Lake Tribune to nightclub owner. When he mentioned that the Dead Goat Saloon had fallen on hard times and suggested that I and my wife, Wendy, buy the club, it was something that I never would have otherwise considered, but which became the highlight of my life (despite the adage, “Be careful what you wish for”). That I was able over the ensuing years to turn the Dead Goat Saloon into a noted blues club, bringing in national blues artists on a weekly basis for the Blue Goat show and even producing an album of some of the featured shows in a release called The Blue Devils Blues Revue—Feature Edition, stemmed from Welter’s knowledge and early help. A complex man—perhaps the influence of the meaning of his surname?—Rick Welter nonetheless was always one of my favorite guitarists. Among countless memories, I will never forget the Monday night I was able to get Los Lobos to come over to the club after their first Utah show to jam with the Tempo Timers—another great Welter suggestion. There will be a gathering of friends for Rick Welter on Monday, April 2, at Pat's Barbecue (155 W. Commonwealth Ave. [2125 South]) from 7 p.m. to 9 p.m., followed by a jam at the Green Pig (31 E. 400 South).